How hard can it be to have your air conditioner replaced? After all, you just need something the same as your current AC but better, right? What’s Wrong With an Imperfectly Sized AC? A unit that’s too big may begin short-cycling, an issue that is very stressful on your system and can shorten its lifespan. A unit that’s too small simply won’t be able to cool your home, leading it to run constantly and wasting energy. Either scenario results in more money being spent on cooling power. The worst part is that badly sized air conditioners are installed all the time. That’s why you need a technician who knows what they’re doing and takes their time to do a proper installation. How Hard Can It Be to Size an AC? There are calculators and reference guides that can give you an idea of how powerful your air conditioner needs to be in order to cool your home. But those are just estimates. In fact, an overreliance on these estimates is exactly why so many air conditioners are not installed properly in the first place. A true sizing requires various load calculations, which take into factors like the size of your home, the number of windows in the home, which way the sun fans on your property, whether or not there are any trees and shade covering your home, the number of people in the home, and more. 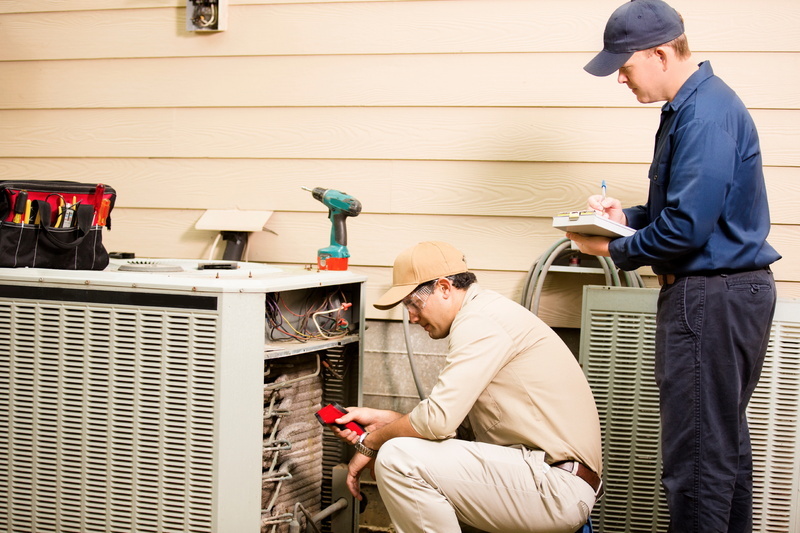 If a technician ever tries to size your AC without taking a thorough look at your home, your best course of action is to call someone else for a second opinion. Whether you try to install your air conditioner on your own or with the help of a handyman, you’re asking for trouble later on down the line. It’s not uncommon for us find that the reason an AC is not working in the first place is due to an unprofessional installation. Usually, that means having to redo some of the work properly before we can even fix the problem. The extra work comes with an extra amount of labor and parts, raising the cost of what should have been an average repair problem. Simply having the tools and familiarity with an air conditioner is not enough to be a qualified HVAC technician. Most manufacturers’ policies specifically state that the system must be maintained and repaired only by a licensed and certified expert. If your technician can’t fulfill that standard, then you shouldn’t let them touch your system. For AC installation and replacement from a professional, contact Thayer Air Conditioning. Your comfort is our #1 priority!